Saturday was our least busy day of the week. 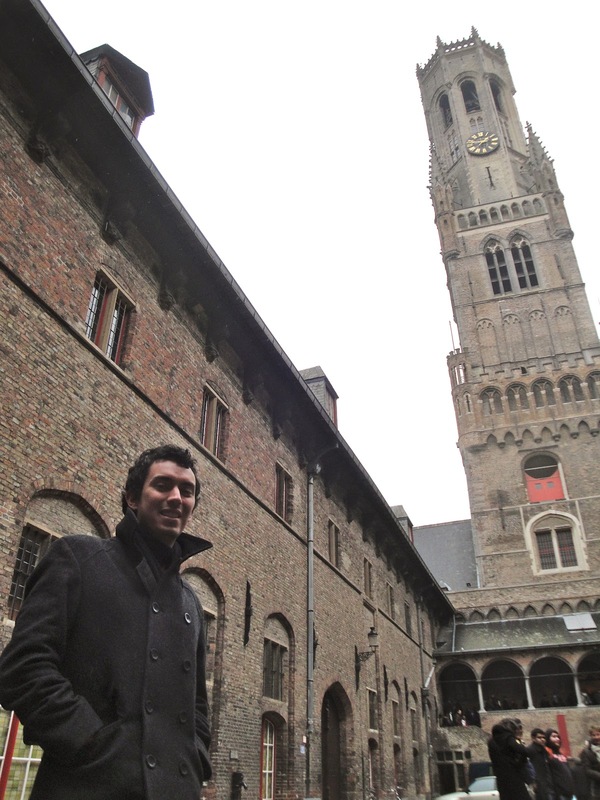 We started it out with a visit to the College of Europe in Bruges. This would be a fascinating college for an up and coming Eurocrat, especially their master's in diplomacy, but, as the name applies, it solely focuses on Europe. I need Asia in my life. We were given a great presentation on the monetary policy of the EU. My roommate was actually doing his project on the central bank in Frankfurt, so I was excited to learn more about how the institution worked. The most important thing I learned is that I do not understand economics. I need to work on that. My roommate was very kind, and explained some of the things I didn't understand in a very helpful way. The talk was followed by lunch and then a guided tour of Bruges. This was our only touristy day, so it was great to see the city. Quite beautiful, very romantic. 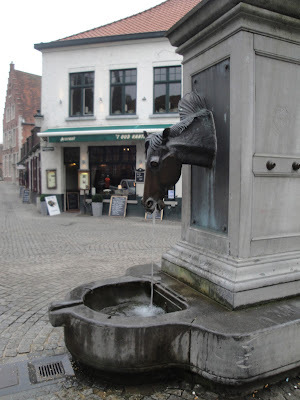 Bruges is known as the Venice of the north. It is a canal-based city, with wonderful medieval architecture throughout the city. We also saw a cloth that supposedly had a bit of Christ's blood on it. Relics are creepy. Four hours was not enough in this city, and hopefully, way in the future, I can come back and spend a weekend. Bus back to Belgium, back to the hotel, quick packing, walk to the train station, and then train to Amsterdam! Woop!